March 6, 2018 – Creatively inspired living is something we strive to offer each of our residents, and we do so with our art-filled spaces that pop with bright, positive colors. The Modern is filled with beautiful art and we want to shine a light on the talented artists who contributed pieces to our lively property. Take a look below at some of the art pieces you’ll find at The Modern along with the artists behind the work. Greeting you upon entering The Modern is the head-turning chandelier piece that hangs in our lobby. Standing as one of The Modern’s icons, this piece is indicative of what the property represents within the community. Appropriately named, Phoenix, this piece symbolizes renewal and growth amongst the Fort Totten community. 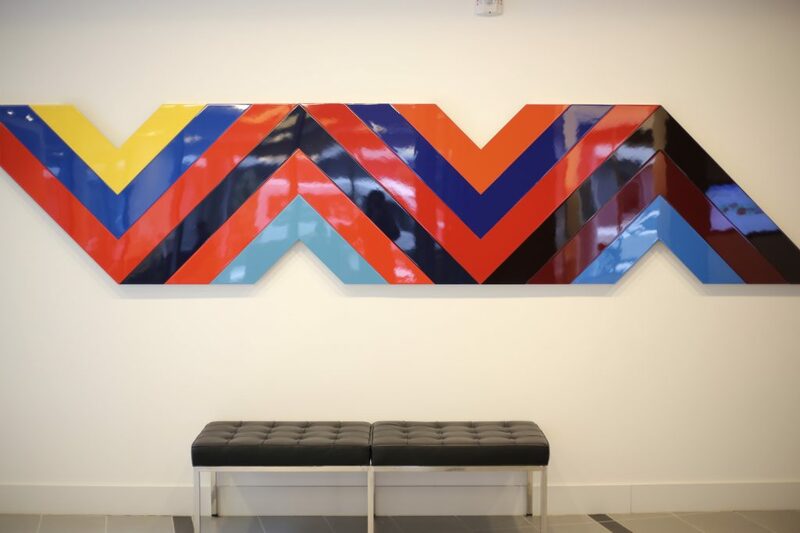 Adding bold colors to our lobby, this wall sculpture was created by car aficionado, Gregory Johnston. Using vintage racecar pieces on aluminum panels, Johnston’s piece blends modern art with a vintage flair. Walk through our lobby and look closely at the restorative detail on the sculpture. Passing by our mail room, you’ll find this colorful piece adding a pop of color to the wall. 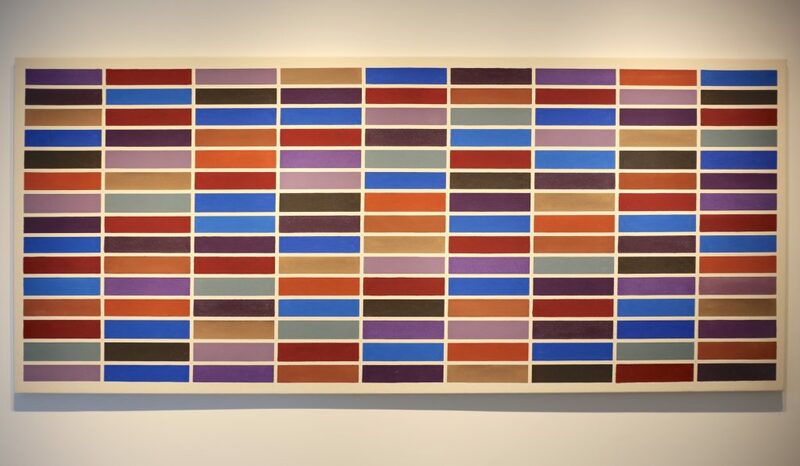 Oftentimes working with primary colors on canvas, Dagley reimagines perspective through geometric patterns, similar to the rectangular motifs in our lobby piece. We invite you to come by to take a closer look and get lost in the mesmerizing optical effect. These are just a few of the pieces of art that add life and personality to The Modern. Interested in seeing more? Schedule a tour of The Modern a tour of by calling 888-306-3899 or reaching out to us online. Ask us about our art and we’ll be sure to show you the rest of the works throughout the property.